Mix-Style headphones land in the UK | What Hi-Fi? HiFiHeadphones is bringing a range of Mix-Style over-ear, in-ear and clip-on cans to the British market, available in a choice of 16 colours/designs. Finished in a soft-to-touch elastomer coating and with durable cabling, all Mix-Style headphones have a 3.5mm jack for connecting to portable music and video players. 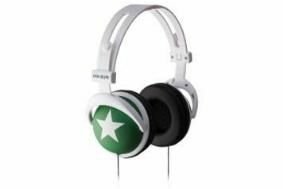 They're available online from the HiFiHeadphones website; the foldable star-green model shown sells for £60, in-ear models start from £40.